As we move into the latter stages of the competition, we will look ahead to the enthralling encounters with three key tactical questions that could determine which way this game swings. 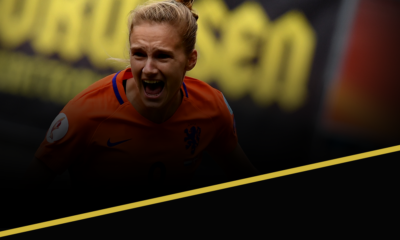 Aakriti Mehrotra here has a look at the Netherlands v Argentina World Cup Semi-Final clash. How do Argentina cope without Angel di Maria? Losing Angel di Maria to an injury is a huge problem for the South Americans. Affectionately called ‘Fideo’- which translates roughly as noodle, a reference to his gangly torso and lean face- by fans, Di Maria has had a somewhat below-par World Cup so far (even with the important 118th minute goal against the Swiss). The completion of 2 out of the attempted 12 crosses by the Argentine against Switzerland was alarming. He only spent little time on the field against Belgium and that makes us wonder whether he is in good touch at the moment. Having said that, it doesn’t take a player like di Maria to create one moment of magic, to remove all doubts regarding his form. His mere presence in the side is extremely intimidating for the opposition. Di Maria traditionally operates as a winger but because of Bale’s arrival to Real Madrid, the player has been used as a number 10 time and again, and this has clearly made his game even more threatening. Against the Swiss you could see him cutting inside regularly and operating a second Number 10 in the team. But of course, his absence will be felt on the flanks. Di Maria is adept in operating on both sides and he has switched sides in the middle of the game a lot of times, creating further problems for the opposition. So the question is who would come in instead of Fideo? Sergio Agüero has been deemed fit to play in the semi-final and Sabella could elect to put him back in the team, but the coach might not want to risk the injury-prone player so quickly and would prefer using him as a substitute to cause damage later on. Rodrigo Palacio was brought on in the late stages against Switzerland and infused the much needed energy needed in the game. He retrieved the ball and started the move which got Argentina the solitary and winning goal of the match. Sabella would certainly think of starting Palacio in the semi-final against Netherlands- a side which boasts a tight defence because of their favoured 3-5-2 formation that sees two full backs operating as wingbacks alongside three central defenders. The Argentine coach might identify Palacio as the man who he thinks can find holes in the tight Dutch defence and weave some magic to lessen the burden on Messi. Quite similar in playing style to Lavezzi, both share a similar attitude as well- both are hard workers and team players. The Inter forward has displayed at the club level that he is a striker of real class. Sabella might think of going with veteran Maxi Rodriguez. The 33 year old started Argentina’s first game of the competition, but has been receded to the bench ever since. The ex-Liverpool winger has scored some delightful goals for his country and still has enough pace to cause trouble. But it remains unlikely that the 59 year old coach would go with him, especially because Maxi has only played once in this tournament and the Dutch are so adept at lessening the width in a game with their effective wing-backs. 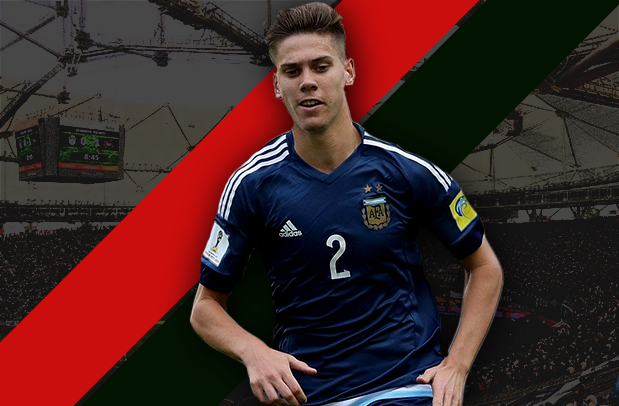 The third option for the coach would be Enzo Perez. The Benfica midfielder replaced di Maria after he limped off in the previous game against Belgium. 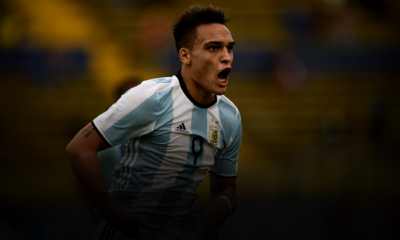 He would come in the midfield and sit ahead of the defensive duo of Javier Mascherano and Fernando Gago. This would mean that Argentina play the 4-3-1-2 formation with Lavezzi and Higuain playing upfront. How do the Dutch stop the unstoppable Messi? La Albicelesteare is loaded with attacking talent, yet the side is curiously reliant on just one man- Lionel Messi. The Barcelona player has been the hero of his country, carrying Argentina on his shoulders till now. As much as manager Alejandro Sabella might deny it, it certainly looks like his side’s fate has more often than not, come down to the magical exploits of his captain. The Argentinean captain is having a tournament of his life- he has four goals and an assist to his name. With di Maria out of the match, Messi has to shoulder further more responsibility and if his present form is any indication, the 27 year old will do an effective job in making up for his teammate’s absence. This effectively means that the Dutch need to be prepared to face an even more determined opponent. Messi works as a number 10, right behind the striker. He has so far been able to find holes and feed balls to his teammates. He needs to be marked properly and not given any space to exploit. Switzerland dealt with Messi effectively for most parts of the game. Valon Behrami, Gokhan Inler and Granit Xhaka were asked to cut his supply and they did that efficiently (for most parts). Hitzfeld asked his midfielders to make sure Messi wasn’t allowed space. When he had the ball, he was surrounded by a pack of red shirts. For the Dutch to emerge victorious from the game, they would need to keep Messi quiet and pretty much apply the same technique. Daley Blind and Georginio Wijnaldum operate as the defensive midfielders for the side. It would essentially be their job to make sure they contain the threat of Lionel Messi. We saw Wesley Sneijder operate in the deeper role for a lot of time against Costa Rica. This also brings defensive responsibilities and the ex- Inter man didn’t look very confident initially, giving away some cheap possession in threatening areas. But he grew into the role and fortunately for him, the Ticos didn’t take advantage when he did lapse defensively. But Lionel Messi won’t give him a second chance. If a mistake is made, he will surely punish. If van Gaal persists with the same method, the trio of Wesley Sneijeder, Wijnaldum and Blind would need to contain Messi. The two wingbacks- possibly, Kuyt and Jaanmat- would also have to help the midfielders stop Messi, but their primary concern would be stopping the likes of Zabaleta, Rojo and Lavezzi. Is persisting with Robin van Persie going to cost Netherlands? In a stark contrast of forms of the two captains, van Persie has not looked like the man whose individual performance can lift his side and inspire his teammates to get a win (after the 5-1 annihilation of Spain, where the Dutch striker scored a remarkable headed goal). Vice-captain Arjen Robben, when not falling down theatrically, has actually been the key figure for the Dutch in this tournament. His role has been similar to Messi- finding spaces to exploit, feeding his fellow attacker, lifting his side. In a three-man attack, he creates strong scoring chance for himself along with creating chances for van Persie. The Bayern Munich winger influxes immense energy in the game and has been the man who his teammates must be looking up to. Van Persie has looked dull in the last two games- against Mexico in the Round of 16 tie and against Costa Rica in the quarter finals. Against the former, he was subbed off when his side was trailing 1-0 to the North American team. Van Gaal brought on Schalke’s Klaas-Jan Huntelaar, who was an inspired substitution. ‘Hunter’ assisted Sneijder’s equalizing goal and calmly put the winning penalty in the back of the net. Against Costa Rica, the Dutch captain was far from his clinical self. He missed a few clear-cut opportunities, including a delightful one in the closing stages, where he failed to even get a touch on a great cross from the left. He was caught offside numerous times and failed to do anything positive for his side, barring a successful penalty in the shootout. Had the Dutch lost the game on the penalties, van Persie would have to take a lot of blame for missing some easy chances. 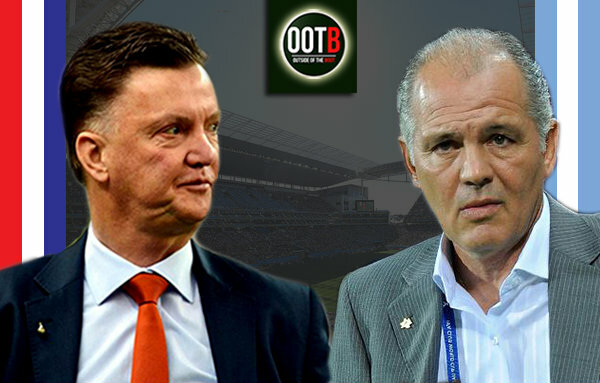 So should Louis van Gaal, who has been bold with his decisions so far, replace the Dutch captain with Huntelaar? Like di Maria, van Persie only needs a moment of magic to remove all doubts and perhaps that’s what the coach might also be thinking. Besides, benching your captain is not an easy thing to do and could also cause an unwarranted strain in the positive relationship the duo have, which has to carry on when the two head to Manchester. The biggest counter-argument is that both Mexico and Costa Rica, the latter especially, sat deep and were content in defending and not trying to create a lot of offensive threat. Van Persie thrives in counter-attacks and not many of those were even possible against the two sides. Argentina will not be sitting back opening up the possibility of a Dutch counter. This is the football the United striker enjoys. He can be deadly in counter-attacks and one can expect an end to end game in this tie. This would be the biggest factor which would be playing van Gaal’s mind when he is doing his team-selection and would be the reason van Persie gets to lead his side from the start after two lacklustre and uninspired performances.